In the world where the number of SaaS (Software as Service) apps is growing daily, APIs, or application program interfaces, have become an essential component of SaaS. In simple terms, API serves as a layer that connects new applications and services to big platforms and enables online businesses to scale more quickly than before. The concept of the API has been around for a while – for years, software developed for platforms like Windows has depended on proprietary APIs. If we were to look at a brief history of the API, we would discover that some digital giants launched their own APIs as early as 2000 (eBay) and 2002 (Amazon). 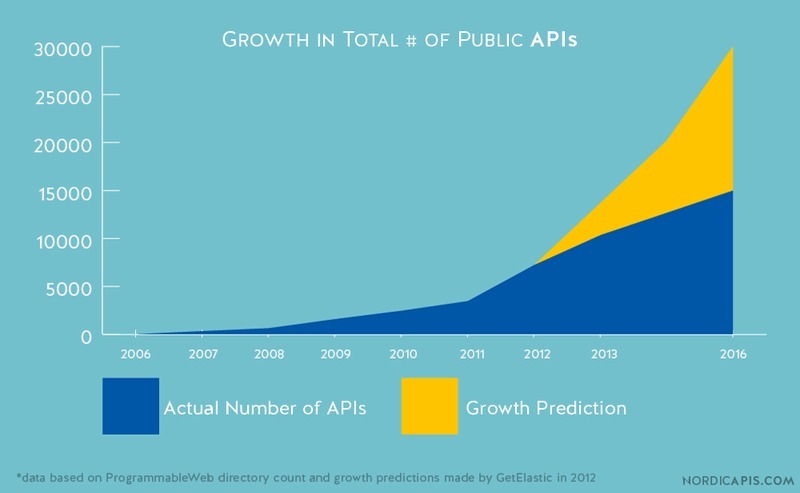 APIs have helped many companies grow. For instance, after Flickr launched their application programing interface they became extremely popular among early bloggers and social media users because their API allowed users to embed their Flickr photos into their blogs or social network feeds. While APIs started relatively early, particularly in the field of ecommerce, they couldn’t scale significantly until backend cloud solutions and mobile devices became truly omnipresent. Technology reached this point around late 2010. Since then, operating systems like Windows, digital giants like Google, and most of the influential social media platforms like Facebook have developed multiple APIs with varying purposes and monetization strategies. Companies have different business models, leading them to monetize their APIs in various ways: some APIs bring in revenue directly, while others promote the company with the help of third-party services or improve customer satisfaction. Before we talk in detail about how you can monetize your own API, let’s consider major reasons why people would be interested in using your company’s application programming interface. In essence, APIs are a layer that connects discrete services and pieces of software to more powerful and multifaceted digital systems. APIs let smaller apps benefit from technologies that could not be created by a startup on their own – technologies such as machine learning algorithms, complex image recognition software or trustworthy online maps. Instead of investing time and money into re-inventing existing solutions, companies turn to Stripe for payment functionality and to Factual for location data. We are used to real estate apps showing us destinations on Google maps, and airline carrier websites leading us to Expedia when it’s time to buy tickets, but none of this would be possible without APIs. There is a general trend for applications to become small and reusable services that – when combined – turn into much more powerful solutions. APIs allow companies to expand to new markets and embed their services in environments they couldn’t have considered before. ‘APIs’ used to be seen as a purely technical concept, but now they are commonly seen as part of a company’s growth strategy. What business models are there for monetizing APIs? Many companies have discovered how to turn their APIs into a significant source of revenue: for instance, Expedia states that they generate 90 percent of their revenue through their APIs, and eBay reportedly generates 60 percent of their revenue through their application programming interface. Software development companies use a variety of business models to monetize their APIs. Charging directly for the API itself – especially, charging on a monthly basis – works best for APIs that provide automated solutions for complex tasks such as image recognition and tagging, and for other AI-powered software. A monthly subscription model seems the most straightforward, but it can also be the most challenging if the service you offer doesn’t have a good product/ market fit. It’s too costly and time-consuming for a small startup to invest in development of a proprietary API that works with technology like machine learning, so startups are more likely to subscribe for third-party service that already have the expertise and can afford developing a solution based on this expertise. To be able to successfully monetize your API, you first need to show potential customers how they would benefit longer-term if they use your solution. This points us to the second subscription option – the Freemium model. Companies that choose a Freemium model usually target businesses that want to start small, but are likely to continue using the API even when they reach a much larger scale. MailChimp pursues this business model with their API; small businesses and non-profits can use a “forever free” version that of MailChimp that lets them send up to 12,000 emails to 2,000 subscribers. MailChimp’s paid subscriptions start with a reasonably small fee of $10 per month, and get more expensive every time you add another five hundred subscribers. Uber launched their API back in 2014 with a clear understanding that if they could persuade more businesses to embed their API in their apps, they would increase their company’s reach and introduce their services to many new clients. On top of opening their API to third-party developers, Uber also announced partnerships with a number of apps (including OpenTable, Starbucks, TripAdvisor, and United Airlines), and started offering up to $30 in credit to new users who signed up for Uber through these partner apps. This financial incentive to potential users within third-party apps clearly suggests that Uber sees an opportunity to monetize their API. TripAdvisor has taken a similar approach to promoting their services. TripAdvisor’s API has been adopted by more than s700 partners and has been used to create about 50,000third party apps. Embedding their API into other apps brought TripAdvisor a lot of new traffic and raised brand awareness. Since TripAdvisor receives the majority of its revenue from click-based ads and display ads, raising awareness and inviting new users to their website translates into increased income for the company. Sprint, a provider of wireless and wired communication services, provides developers with a Messaging API that can be used to send SMS and MMS messages to CDMA handsets (CDMA is one of the two most common radio systems used in cell phones). Sprint prices their API based on number of units (messages) sent, and has several tiers for enterprise clients. Google Adwords is another example of an API that prices access on a per-unit basis – developers who use Google Adwords are billed $0.25 per 1,000 API calls. Some of the most profitable APIs belong to the financial industry, in particular the banking industry. Systems like PayPal, Braintree, and others receive direct value from each transaction that takes place in any app where their API is embedded. For instance, Braintree's processing fee is 2.9% + $0.30 per each transaction. There is no subscription deal available, and the payment system makes money every single time a user transfers money with the help of their service. Companies that leverage large data sets – like Salesforce, provider of one of the largest CRM solutions in the world – can derive additional revenue from the data they already have. This revenue can come from direct channels, such as getting more users from a wider market, or through indirect channels. A good example of an indirect channel is targeting a particular group of customers using information that’s available through the company’s API. This monetization model relies not just on big data, but also on the ability to process these data and make conclusions based on them. For this reason, monetizing APIs through data analysis is not an optimal solution for smaller businesses. At Yalantis, we believe that APIs are essential for an optimal user experience. They shorten development time and provide benefits to API providers, the developer community, and end-customers at the same time. Depending on the size and nature of your business, picking the right model of API monetization can be tricky. But if done properly, APIs can benefit your business in the end.